I love perfect timing, like when it starts to rain as soon as you get inside, or when you find a taxi as soon as you need one. Or in our case when an amazing piece of antique furniture just so happens to accommodate your needs perfectly. 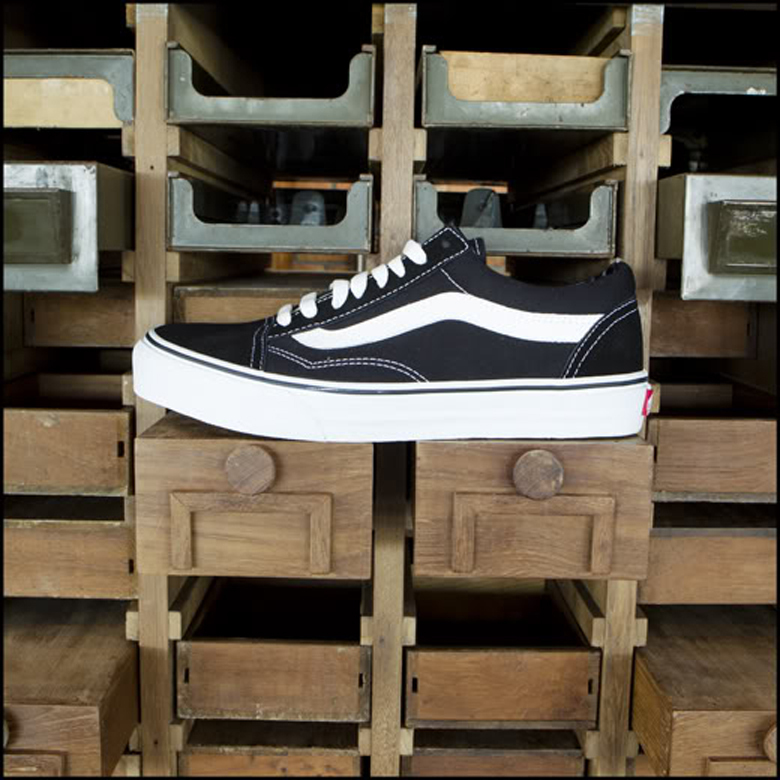 We broke into our shipment of Vans shoes early this morning and were stumped on where to display the box-fresh kicks in our showroom. Then a delivery from our local backstreet antique dealer arrived, a couple glass display cases and an old filing cabinet system were unloaded and it made sense straight away. We picked the latter of the two and it couldn’t have work better if I say so myself. Anyways enough about my love for good lookin’ antique furniture (I could really talk about it all day)… and back to the shoes. 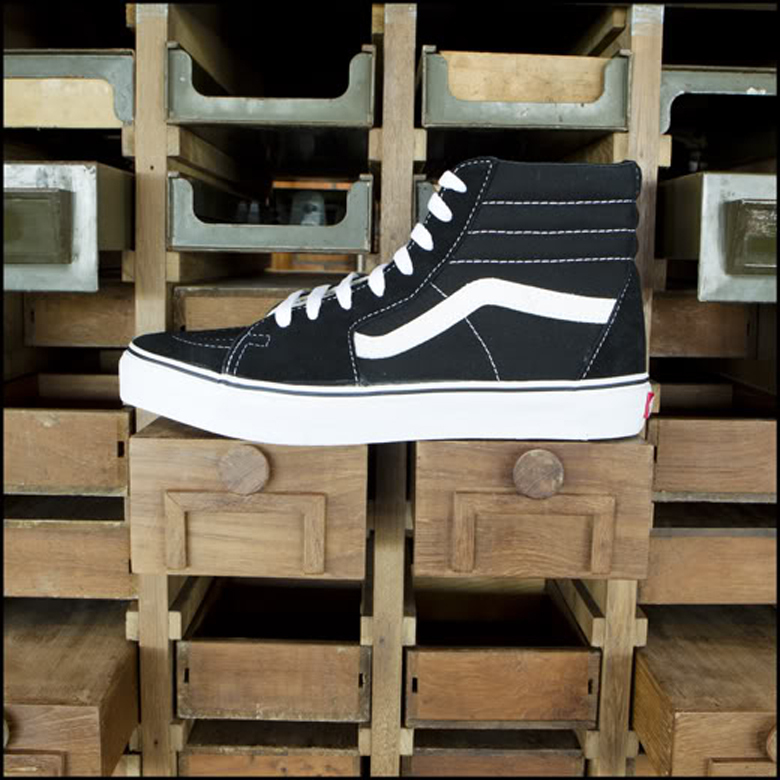 We now stock a sweet little range of Vans shoes, from the quaint “Lo Pro’s” to the chunky “SK8 Hi’s” we have sizes ranging from ‘too small’ all the way to ‘too big.’ So if your looking to ditch those flip flops you have been wearing for the last year for something a little more substantial, come on down to the Temple and try a pair on for yourself.